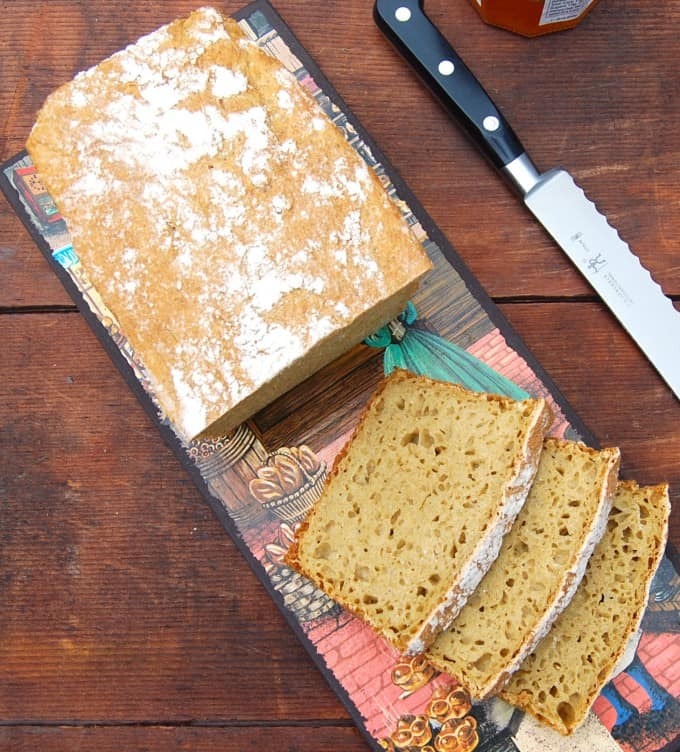 This recipe for whole wheat atta bread uses durum wheat flour used in Indian kitchens to make rotis. The loaf, although wholegrain, is light and airy. 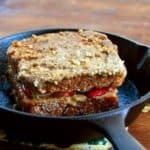 A soy-free, nut-free, vegan recipe. 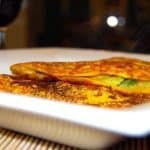 The more I bake with whole wheat and wholegrain flours, the more I’ve become a fan of using durum wheat flour– called atta in Indian kitchens — to bake breads. 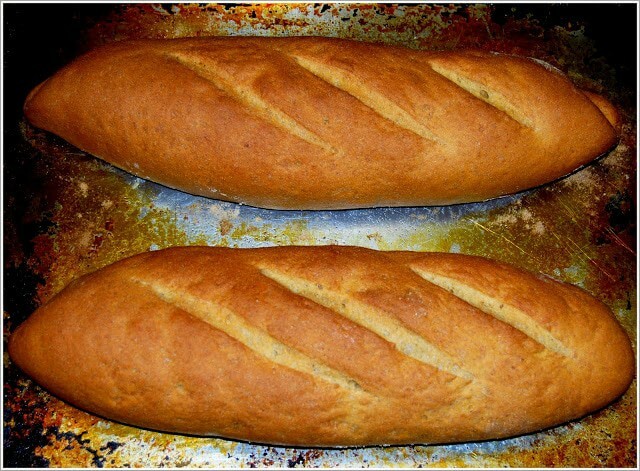 You have already seen me use it to make my whole-wheat french bread, among other bread recipes. The reason I love durum wheat flour so much is because breads made with it have an airier texture– and a lighter color– than breads baked with regular whole-wheat flour. Even without the added binding and raising power of vital wheat gluten. 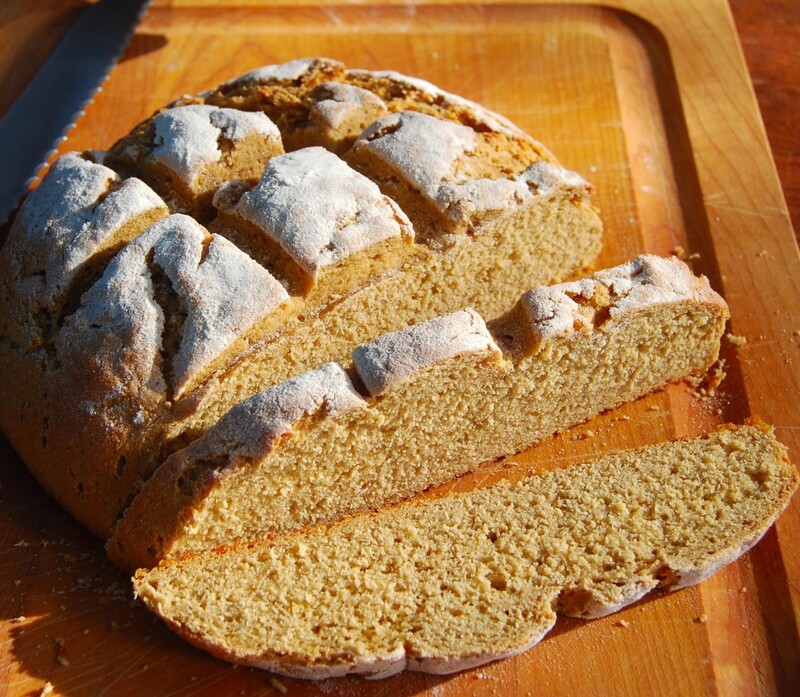 Also not everyone wants to use vital wheat gluten because it can make crusts a bit chewy. And many, including readers in India, don’t have access to it. So to give my whole wheat atta bread a lift and a rise, I used sourdough. 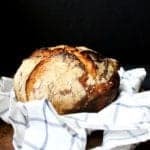 It is easy enough to make sourdough– you do need a few days to get your starter going if you haven’t already got one. But trust me, it’s completely worth making it so you can make this bread, and more. See my recipe for a sourdough starter if you need help. Other than the sourdough, this whole wheat atta bread needs nothing more than flour, yeast, water, salt and a tiny bit of sugar. All ingredients that are no doubt sitting in your pantry already. 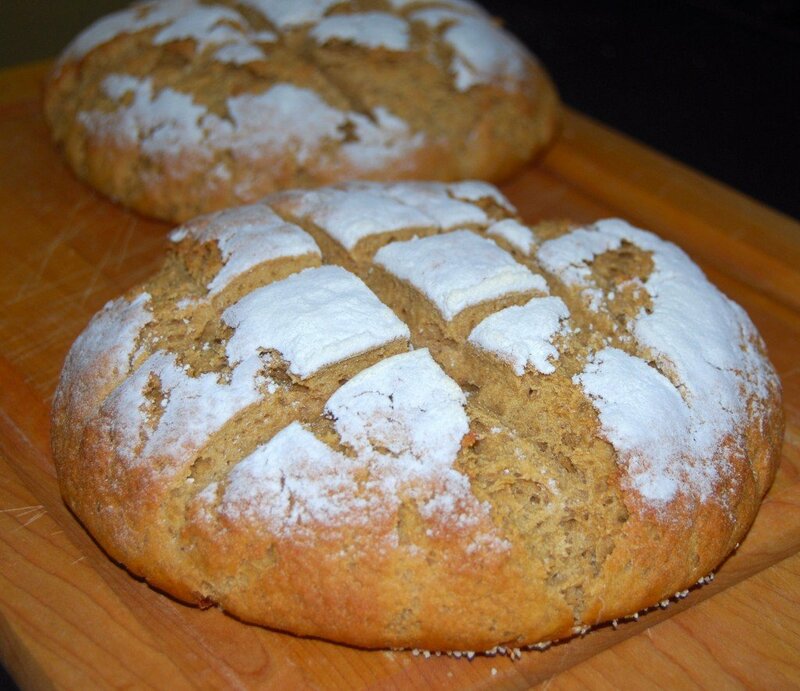 You’re going to love this recipe for whole wheat atta bread. Have a great weekend, all! 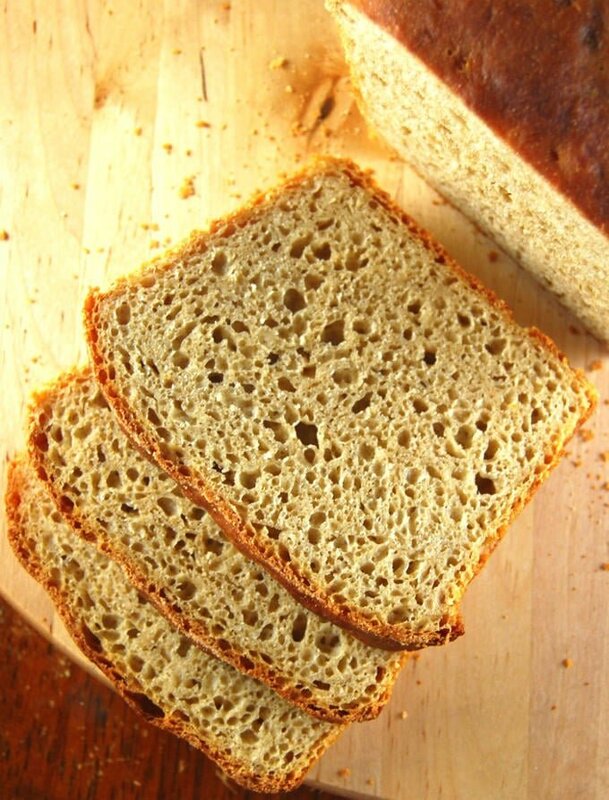 This recipe for whole wheat bread uses atta, a durum wheat flour used in Indian kitchens to make rotis. The loaf, although wholegrain, is light and airy. 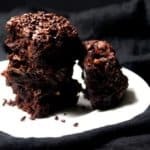 A soy-free, nut-free, vegan recipe. Mix together the yeast, sugar and water in a bowl and let it stand about 5-10 minutes until the yeast turns frothy. Add the sourdough starter and then the flour, one cup at a time, mixing with the dough hook attachment of a stand mixer or with your hand. Once you have a thick but somewhat liquid mixture, add the salt and continue to mix in the flour. Use just as much flour as is needed to get a smooth but not sticky dough. You want a pliable dough that's not as stiff as the dough you'd make for a chapati. Knead the dough for 8 minutes on medium-low speed or by hand. Turn it out onto a flat surface, form into a smooth ball with your hands, and place in an oiled bowl, turning over once to coat the top with oil. Cover the dough with a kitchen towel or plastic wrap and set aside in a warm place to double, about an hour. Once the dough has doubled, punch out the gases and divide into two. Shape each portion into a round loaf, tucking any seams underneath the loaf. Lightly oil a baking sheet and scatter some sooji rava or cornmeal on it. Place the loaves, about four inches apart, on the baking sheet. Dust the tops with some flour, then cover loosely with a kitchen towel and let the loaves rise for 2 hours. Just before putting the loaves in the oven, use a very sharp, preferably serrated knife to score the tops of the loaves. I scored them in a crosshatch pattern but you could do diagonal slashes as well. Place the loaves in the oven and bake for 30 minutes or until the bottoms sound hollow when tapped with your fingertips. Remove the baking sheet to a rack and cool for 10 minutes, then remove the loaves from the sheet and continue cooling them on the rack. Nutrition info is for one slice, with each loaf yielding 16 slices. Whole wheat bread looks gorgeous !! all well and good – but when did you add the sourdough starter? G’day! Your bread looks lovely, true! Love your photo and can almost smell the bread through the computer too! 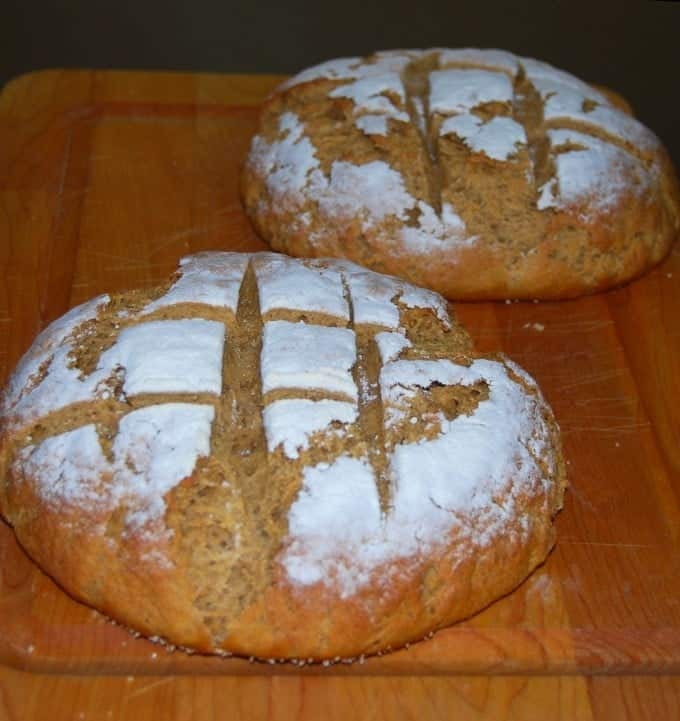 Hi Vaishali, thanks for the bread recipe with aata. 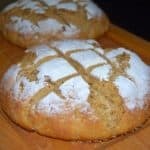 For the bread and sourdough starter, can I use instant yeast instead of active dry yeast? Priya, yes, you absolutely can. 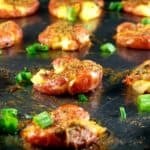 Substitute with same amount of instant in both recipes. You don’t need to flower the yeast if using instant. CAN WE SHAPE THEM AS BREAD LOAF AND STILL GET THE SAME RESULT TASTE AND TEXTURE WISE? Yes, you definitely can. 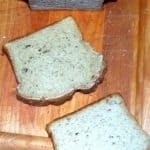 This bread is crustier than your average sandwich loaf. I just discovered your recipes and I’m in heaven! 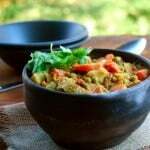 I need to reduce meat from my/our diet for heart reasons and am very motivated to try new recipes to help me say goodbye to meat. 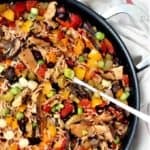 Love reading your write-up along w recipes. Its like I know u already – through your words. You actually also look very much like my Pakistani friend Ameena. (I’ll have to show her ur photo). Thanks for all your recipes. I am going to grocery today and begin a life change!